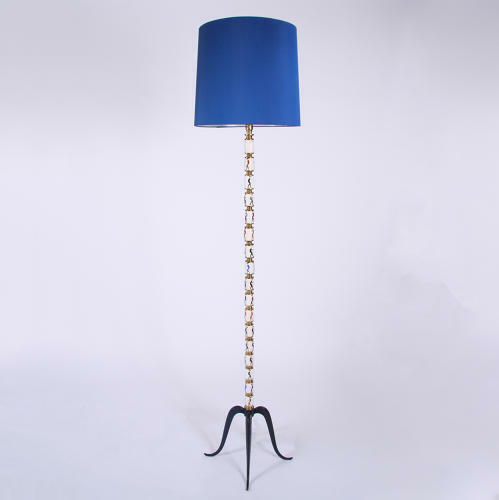 Unusual floor lamp with painted ceramic sections. Signed FISBACH G. Dark blue painted serpentine shapes metal base. Height to top of light fitting. Pictured with bespoke hand made silk shade. Re-wired and PAT tested.